Many businesses and government organizations today face increasing conditions of risk presented by sources both internal and external to their operations. Managing risk programmatically with EI's help puts organizations in a position of being proactive and prepares them for adversities. Risks associated with hazardous materials loom especially large. A public that is increasingly scrutinizing regarding responsibility and transparency from corporations and government demands that leaders address these issues. One important step is improved risk communication, emergency planning and empowerment of employees to respond to threats. Facilities already have an obligation to protect workers' safety and to have emergency plans under OSHA and EPCRA regulations. However, employee education, development of new contingency plans, and community outreach programs will benefit organizations in th epublic and private sectors, especially those whose facilities store or handle hazardous waste. 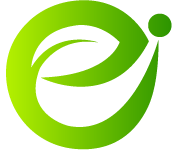 EI is committed to benefiting workers, industry and communities through our extensive experience in risk assessment, risk communication and environmental management systems. EI has a depth of knowledge related to CERCLA-compliant human health and ecological risk assessment. If you would like to discuss how EI can assist you regarding risk and vulnerability assessment, please contact us at (206) 525-3362, or email us at staff@eiltd.net. As an adjunct to EI's RIFS and risk assessment support for six Tribes at the Portland Harbor Superfund site, EI prepared a report on behalf of the CTSI regarding the risks to tribal members from the consumption of lamprey from the Portland Harbor Superfund site. The analysis described in EI's report was conducted to consider the implications of the lamprey data from a study conducted by the US EPA and Oregon Department of Human Services (ODHS). EI's report presented risk assessment principles, methods, and assumptions specific to the tribal context; background information on polychlorinated biphenyls (PCB) and their health effects; the lamprey PCB data from the EPA/ODHS study that were used for the assessment; and the results of the ingestion rate analysis, including tables that provide the details of ingestion rates based on varying levels of cancer risk and non-cancer hazard. The report also included brief conclusions and possible next steps for further study. EI is working with the Colville Tribes to address contamination of tribal lands and waters, including the waters of the Upper Columbia River (UCR). For more than a century, Tribal lands have been contaminated by discharges from mine and mills, smelters and a pulp and paper mill located on the UCR and its tributaries. EI is working with Colville Tribes to ensure that the U.S. EPA effectively incorporates Tribal concerns into the CERCLA-like remedial investigation and feasibility study process under which it is investigating the site. EI is coordinating efforts of tribal representatives, consultants, and government agencies to address the contamination. EI risk assessors are determining ecological and human health risks from contaminants and assessing impacts to tribal subsistence living. EI's work involves collecting, evaluating, and analyzing existing site data for potential damages and identifying areas of critical importance.